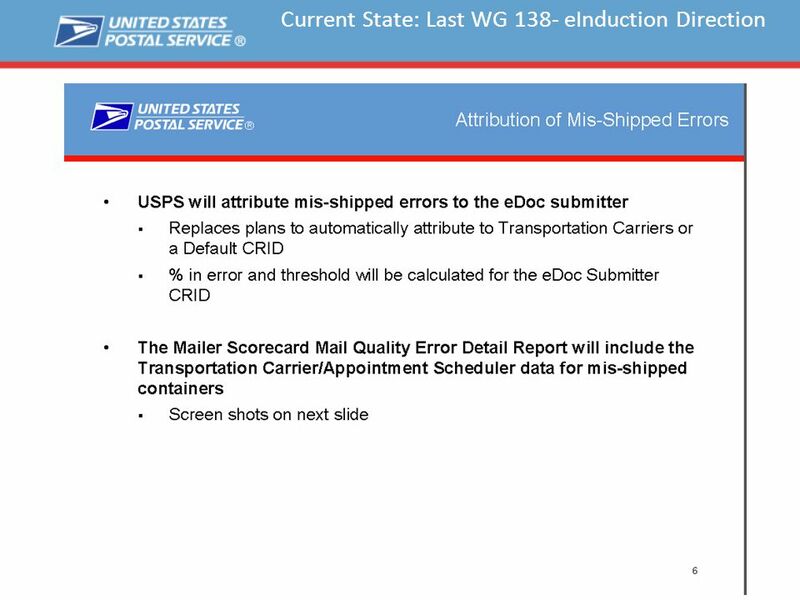 WG163 Supply Chain Reporting and Invoicing Meeting August 12, 2014. 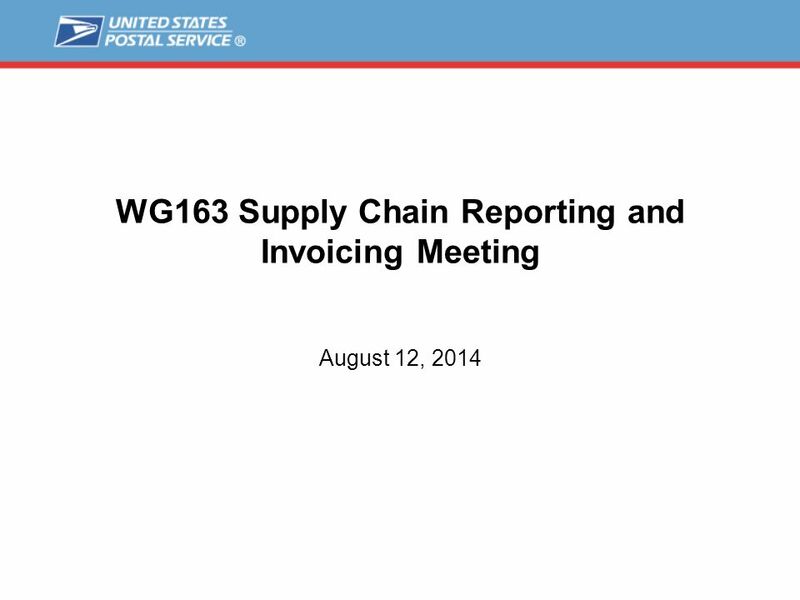 Download ppt "WG163 Supply Chain Reporting and Invoicing Meeting August 12, 2014." 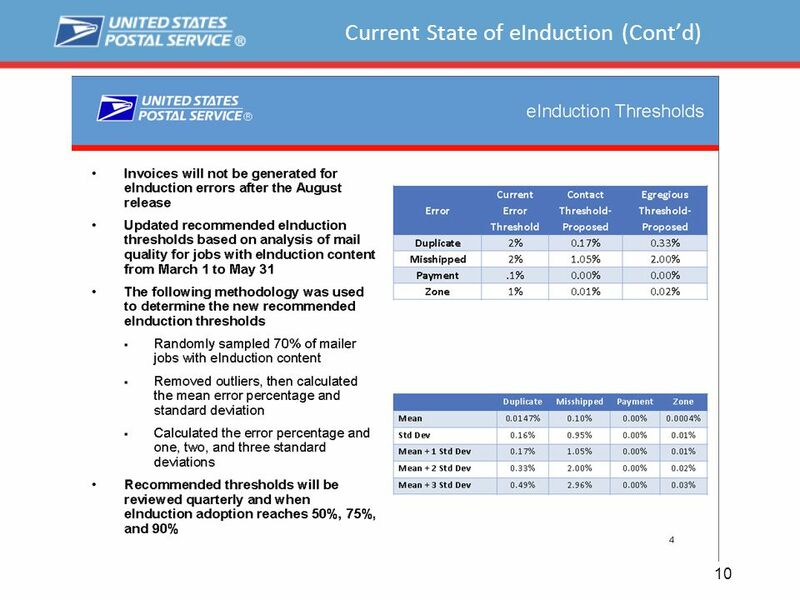 ® Mail Entry Roadmap 1. 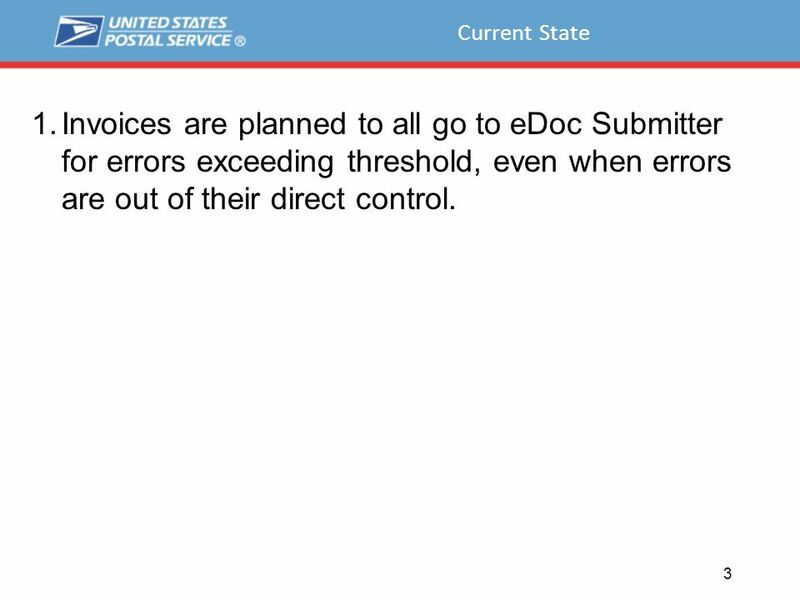 Roadmap Location  Located on RIBBs at Ribbs.usps.gov 2. 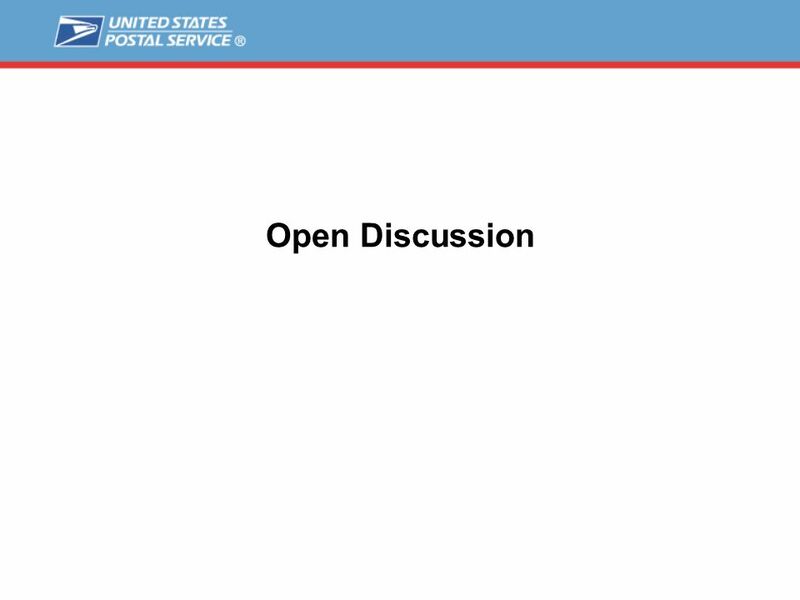 ® Active MTAC Work Groups/Task Teams Work Group #143: Seamless Acceptance Start date: 04/01/2011 Target Completion Date: 4/30/15  Industry Leaders – Bob. 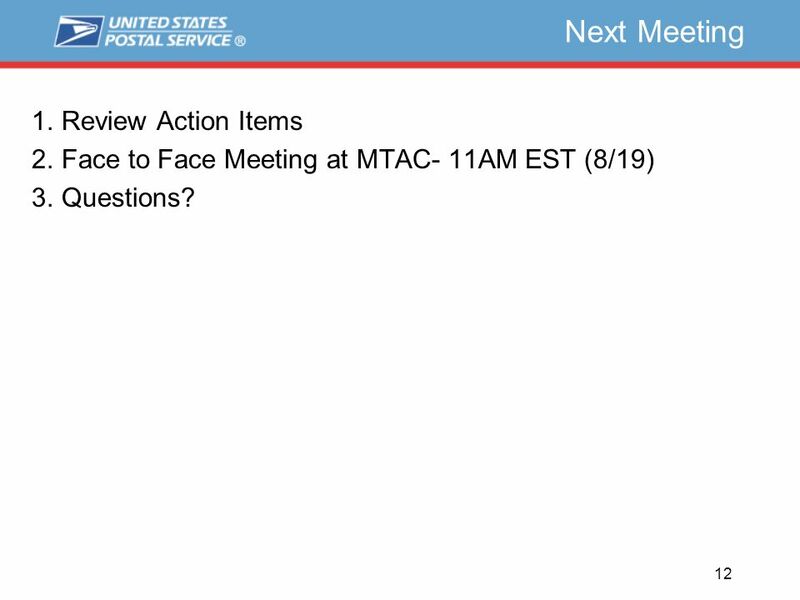 ® MTAC Payment and Acceptance February 19, ® Agenda ME&PT Organization Task Team #23 Communications Update Scorecard/Assessment Update Full Service. Intelligent Mail ® Full-Service MTAC May 19, 2010. ATAG: FFQ Overview and Update Date: 3/12/2015. 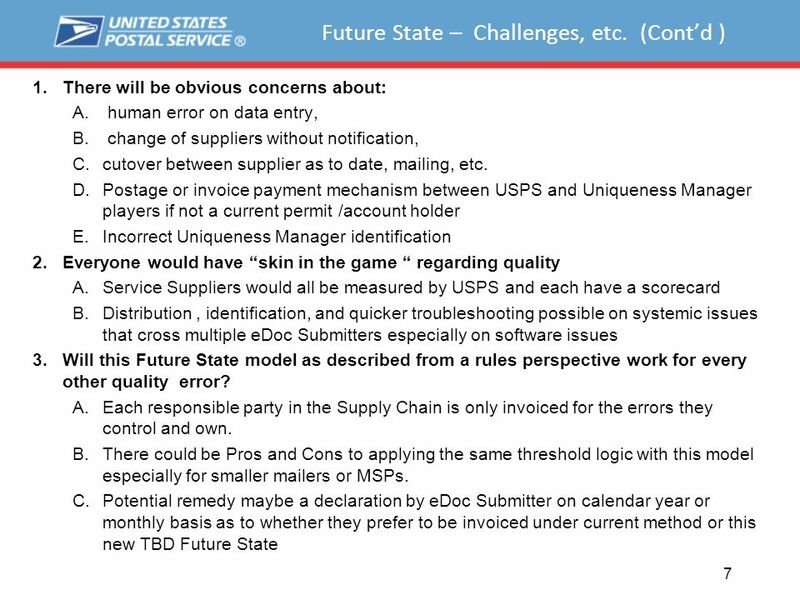 FFQ Overview and Update  Goals of FFQ  Initial reporting  What we have learned. Power your Marketing. 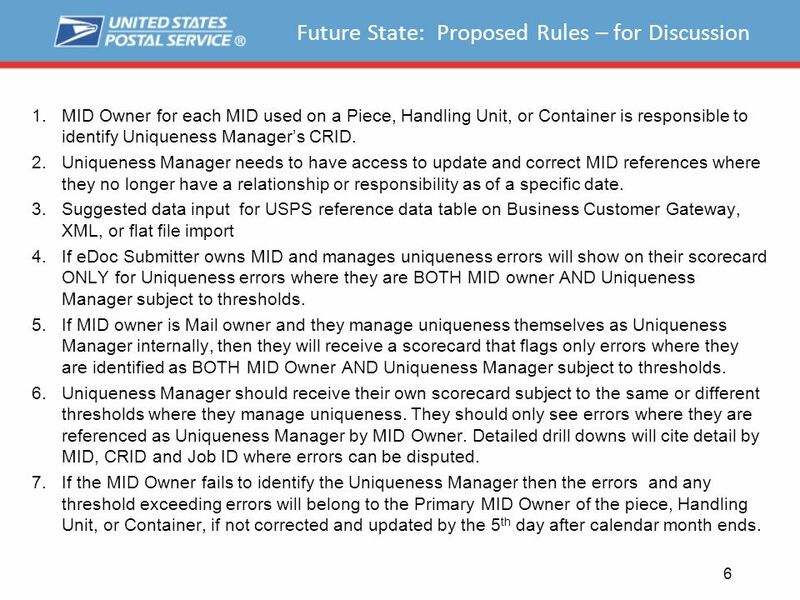 TM Seamless Acceptance: The Future Appears Bright Bob Rosser Director, Postal Affairs September 18, 2013. 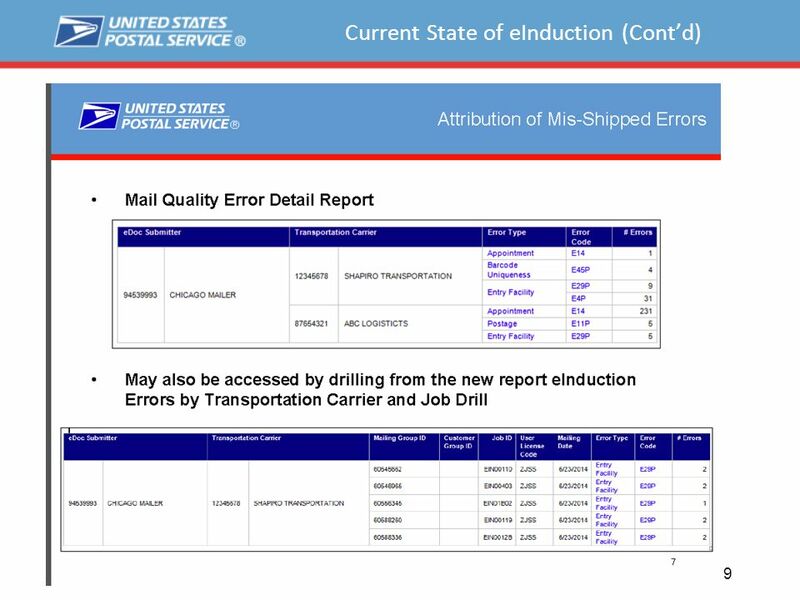 Accessing and Understanding Mail Quality Reporting. MTAC General Session Meeting Electronic Verification System (eVS)/ Product Tracking System (PTS) User Group #2 February 16, 2011. 1 MTAC 117  Workgroup Leaders Ty Taylor / Pritha Mehra  Origin Containerization Joel Walker / Sharon Harrison  Continuous Mailers Steve Krejcik / Kelly. 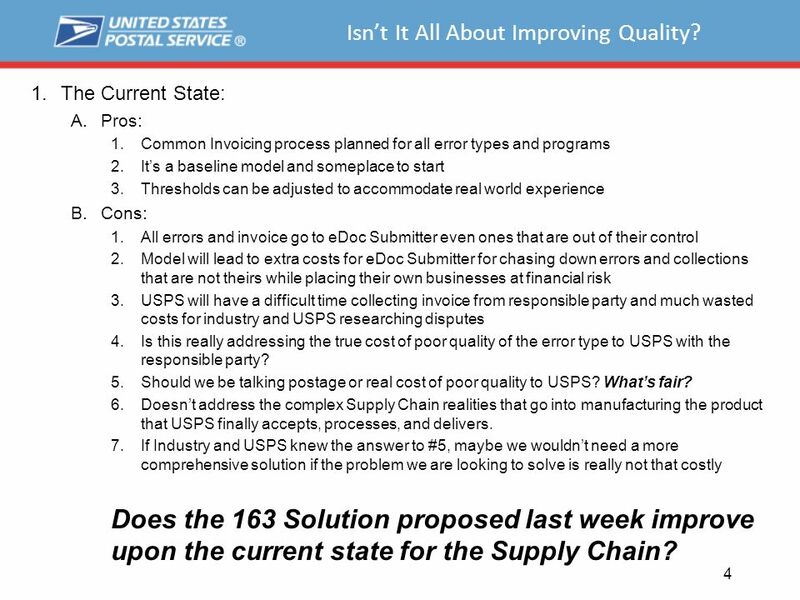 Seamless Acceptance Pritha Mehra, USPS Manager, Marketing Technology & Channel Management. 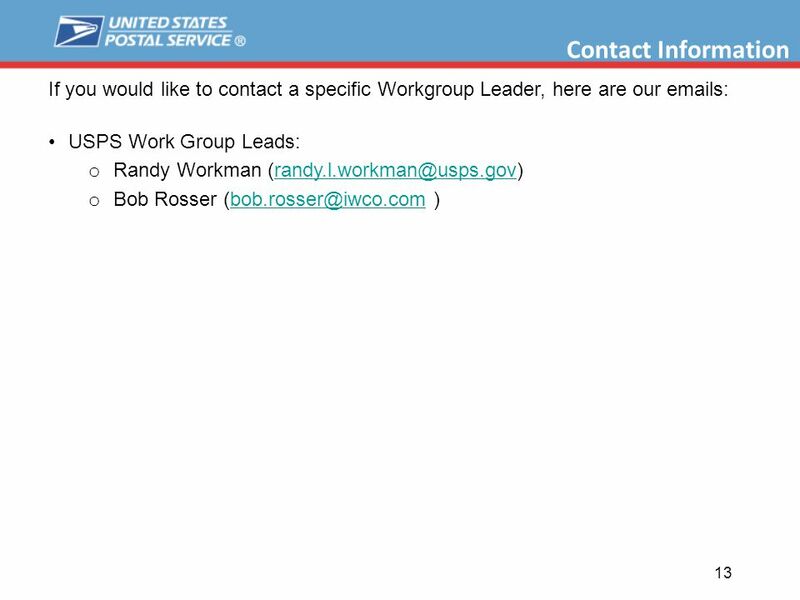 Intelligent Mail® Made Simple Through Outsourcing Dan Hindman PB Presort Services June 21, 2010 Dan Hindman PB Presort Services June 21, 2010. 1 It’s Time for Intelligent Mail ® : Bringing It All Together Wednesday, Sept. 17, 2008. Mailer’s Technical Advisory Committee (MTAC) Task Team 2 General Session Presentation November 16, 2010. 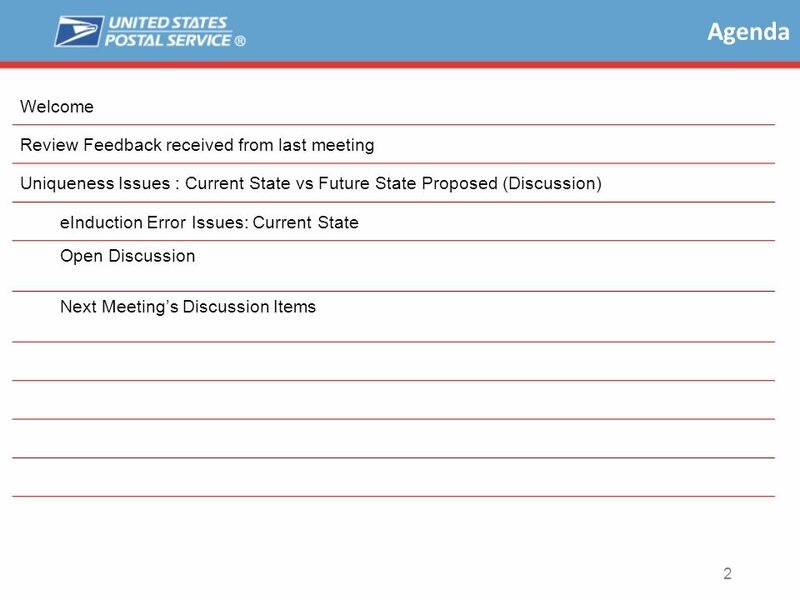 Mail Entry & Payment Technology Southern Area Focus Group Meeting Mailer Scorecard Updates January 13, Arlene J. Zisow Business Mail Support, HQ. 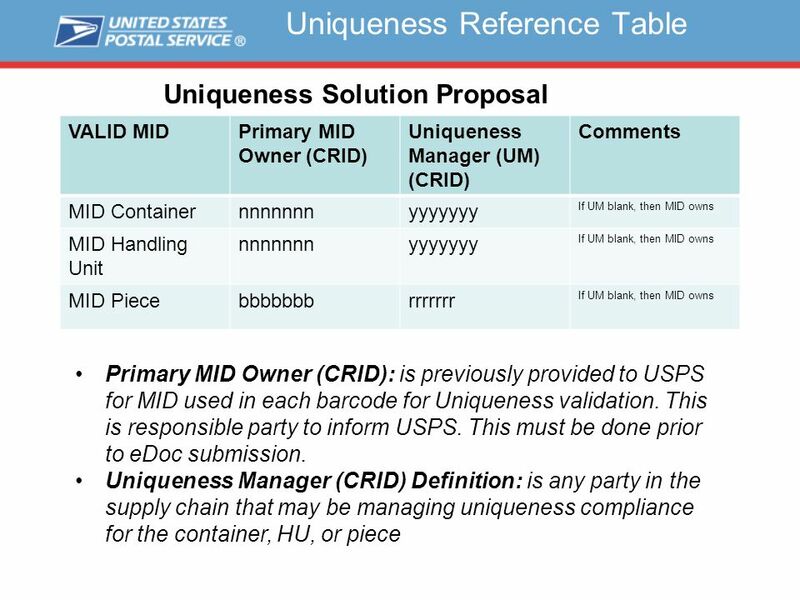 Intelligent Mail ® Full-Service MTAC August 12, 2010.